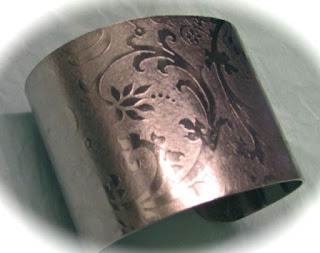 Ear in the Envelope Inc - Metal Stamping Jewelry Blog: Rolling Mill - TEXTURE WITH PAPER? 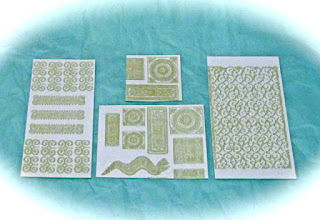 PATTERNS ORIGINATE from drawings, photographs, antique engravings, clip art and computer generated images. a few more uses with the softer aluminum. 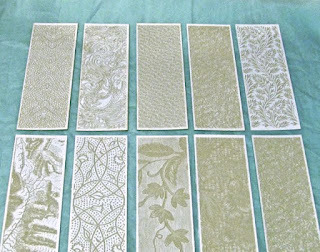 Tracey often gets requests for patterns in a more durable material. 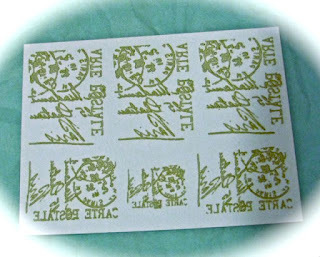 But she has found that there are advantages to using the paper. 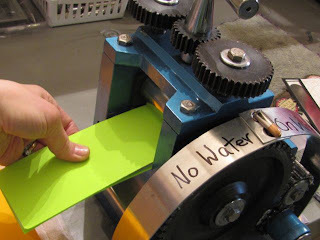 The paper actually creates a soft flat texture on the metal that cannot be created with metal rolling plates. And the cost of using paper keeps your price down. 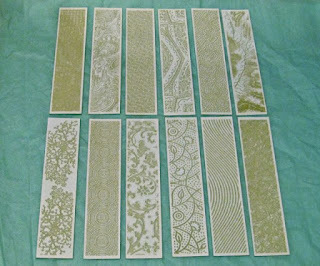 Paper also gives you flexibility to cut or "paper punch" your patterns. 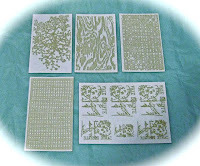 MANY PATTERNS AND SIZES available. 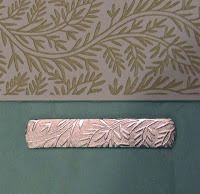 PAPER PATTERNS for 2" cuffs. 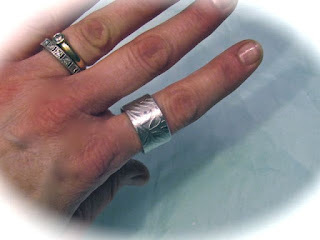 These can also be used for smaller cuffs. Bits and Pieces for discs, dog tags or other blanks. 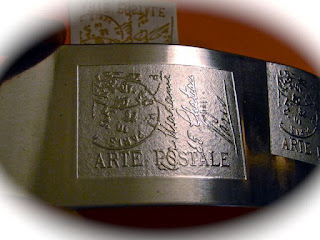 *******If you will be ordering bracelet blanks use with a paper patterns PLEASE LET US KNOW in your invoice message notes. We have CUSTOM CUFFS and CHARM BLANKS that are soft temper and a little shorter to accommodate the stretch from the rolling mill. 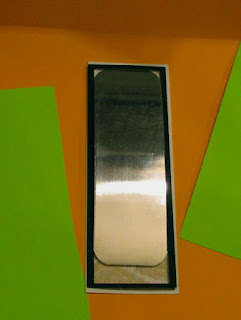 GUIDES made of card stock are used to align your cuffs when you're rolling your cuffs through the mill. 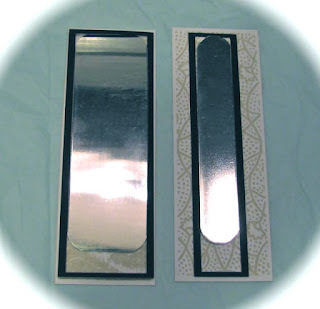 Add a light coating of glue stick to the black guides and attach them to the paper patterns. Let the glue dry for at least one hour. When completely dry trim the outer excess edge. a little larger than the paper pattern. and another on the bottom. 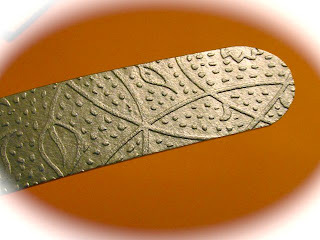 to press the texture into the metal. Open your stack and you will find a beautiful surprise!!! !